The main award for the first price is 500 EUR net amounts to be received by Tikves winery. Financial compensation for the first price will be done not later than 45 days after the announcement of the international jury. The winner will be announced on 6thOctober 2013 on the SDW. Tikves winery produces 30.000 bottles of chardonnay per year. The winning design will be applied to new vintage in years 2014 and 2015. The news of the winning design will be announced on website of Tikves, SDW website, social media of both companies, newsletters of SDW and Tikves, mentioning the name of the designer and image of the winning label. 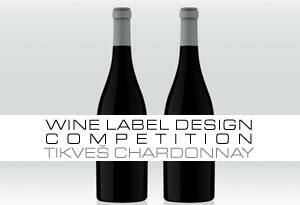 The label will be also part of the regional Tikves exhibition in 2014. International jury will in the first phase selects 10 best proposals. These proposals will be printed and exhibited on the Tikves booth on SDW 2013. Under each design proposal a name and surname of the author will be displayed. Skopje Design Week and Tikves winery are not going to use any of the submitted proposals for any other purposes besides presentation of the same in front of the jury members. After the selection of the best design all proposal (submitted files) will be deleted by both organizations. Therefore the organizers of this contest request submission of specific electronic files JPG and PDF. Chardonnay variety is well spread all over the world. In Macedonia this wine sort grows in River Vardar valley. This particular variety grows on different climates and that is pretty noticeable in its aroma, which varies as well. The most adequate word for this wine is “rich in taste”. It is typical for Chardonnay to have golden yellow color with green nuances and flavors of tropical fruits, apple, pineapple, banana and citrus. The taste is rich, fresh and elegant and has very well balanced full body structure. Good Chardonnay, depends from which region comes from, warmer or colder regions, can contain flavors such as citrus and apple (colder regions), watermelon, peach, pineapple and tropical fruit (warmer regions). Chardonnay matured in oak barrels contains aroma of toasted bread and vanilla, more complex taste and richer texture. It can be combined with various types of dishes such as: salads, scampi, oysters, fish, roasted pork meet, chicken and turkey. It also goes well with all kinds of mushrooms, cream souses with mushrooms and all kinds of pasta. Even though Chardonnay is a wine that all generations like and is frequently consumed, Tikves winery recognizes this product as excellent temptation for beginners in wine consumption. The target group is classified as young population with dynamic lifestyle that likes good food, frequently goes out and has contemporary habits. In terms of ages the target group is mainly consisted from 21 years till 40 years old, males and females equally, belonging to the middle class. They would like to drink high quality wine and they would like that to be linked to their social status. Tikves winery is the biggest and most modern winery in Macedonia, with an overall production capacity of 55 million liters. This capacity also includes both the capacities for fermentation and the capacities for wine preservation. The present fermentation capacity of Tikves winery amounts to 25 million liters. Tikves winery, each year, processes more than 20 million kg of grapes, and the annual production of wine, amounts to more than 22 million liters. The wine maturation chambers, with a size of 6,500 m², contain 450 barrique barrels and an additional number of 180 oak barrels. Additional space of 2000 m² has been allotted for wine aging in bottles. The company has 700 hectares of its own vineyard plantations in possession and closely cooperates with over 2500 individual viticulturists from the Tikvesh vineyard region. Tikves winery is the place where the superb wine from Macedoni has been created and brewed since 1885. The Tikves wine region, the biggest and most significant wine region in Macedonia, is the home of Tikves Winery. It is the place where the Mediterranean climate from the South merges with the continental climate from the North creating extraordinary, unique conditions for vineyard cultivation and production of high quality wines.The Tikves wine region is located in the South of Macedonia, where there are perfect climate conditions for cultivation of grapes due to the excellent combination of warm sunny days with cold nights and the necessary quantity of rainfall during the year. In Macedonia, the tradition of producing amazingly powerful wines with the scent of the South, the taste of song and smiles of Macedonians exists since ancient times. Here, for more than 125 years, the sky, land, sun and vineyards from the South of Europe, each with their own share in the creation, become part of the story of Tikves wines. The company will value design solutions which will be communicating well with the target group, and will in best possible way include info of the wine sort and region. There are no limitations in terms of design proposals, meaning that one person is welcome to submit more than one proposal. The front label is main communication tool with the target group, it is a face of the wine and has to reveal the character of the product. The backside label contains only technical information which is requested with the regulations for selling wine products. Back label contains technical information and regulations which apply to the marker/s. There are not restrictions in the label form, either front or the back label. This means that the designers can suggest any standardized form (square, rectangular, triangle, etc.) or irregular form. On the front label the official logo type of Tikves winery has to be applied. On the back side there is no need of applying logo of Tikves. Back and front label are printed on self-adhesive wine paper Printing substrate. Paper types: wine mat, verge blanc (antique white), verge cream (antique cream) or Films: PP White, PP Transparent. Print technique: Flexo, Letterpress, Hot print, Embossing. All proposals have to be submitted as JPG or PDF files. Save the file as Yourname_Your surname.jpg or Your name _ Your surname. pdf Send the files at contact@publicroom.org not later than 15 September, 2013. Make sure that you receive confirmation email for your submission. Do not forget to put your contact details in the email (name, surname, email and phone number). All label design proposals are welcome till 15 September, 2013 sent by email to contact@publicroom.org We highly recommend not waiting till the very last day with your design submission. We are sincerely looking forward of receiving your design proposal!